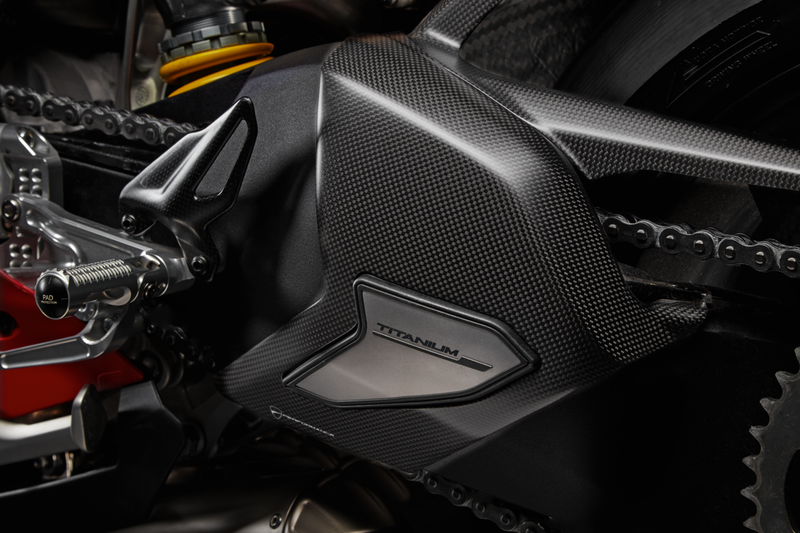 Carbon and titanium swinging arm cover. It provides effective protection in the case of sliding and adds a touch of style. 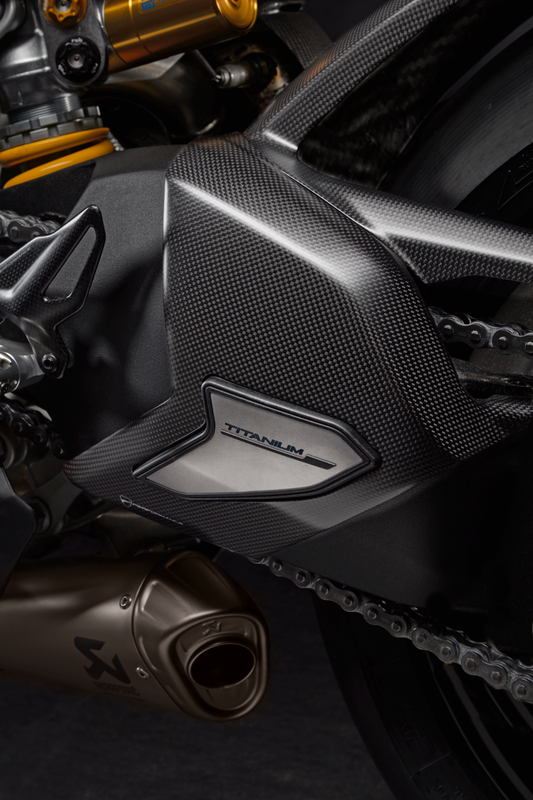 Titanium treatment on the inside to further protect and enhance the bike's line.